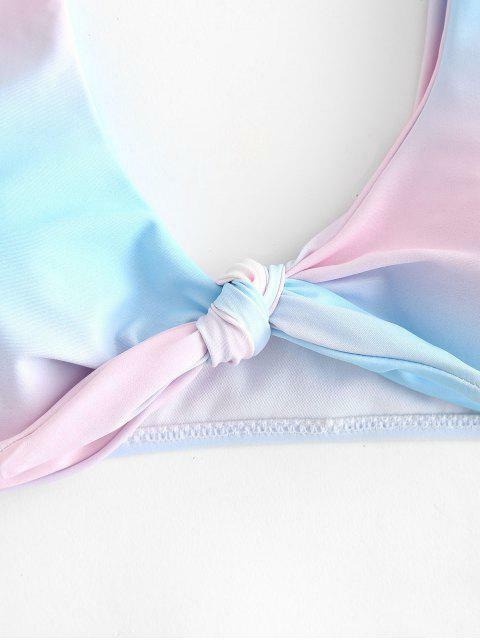 [17% OFF] 2019 Ombre Tie Front Bikini Set In MULTI | ZAFUL ..
With pastels ombre design that gives you a girl next door vibe, it is impossible to ignore this attractive and fun suit. The knot in the front helps to emphasize your bust area, without allowing too much skin to be shown. The V cut in the waistline of briefs helps to slim your figure frame.